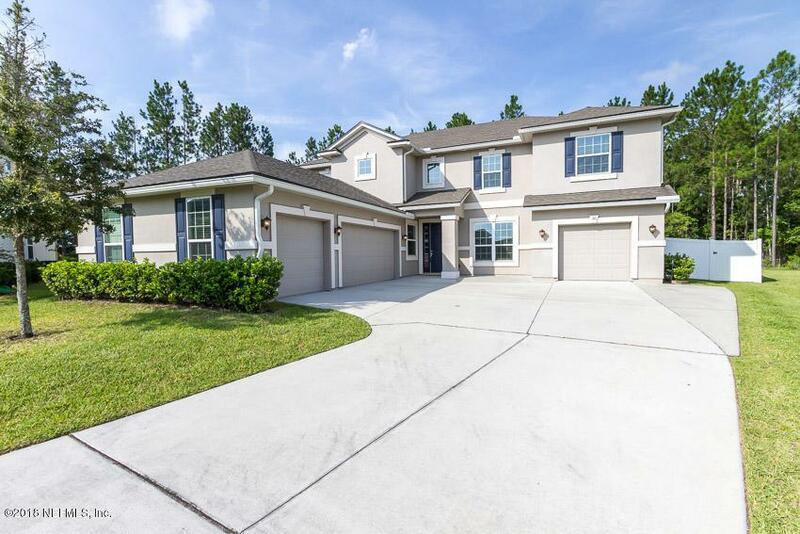 Pull into the extra wide driveway of your new home! Look to your left and see 3 garage bays, and to your right, see a single garage bay. 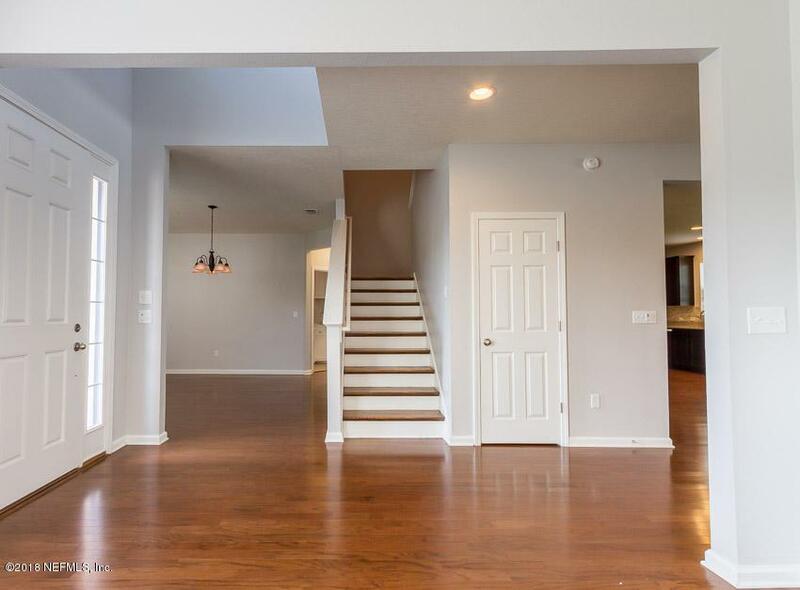 As you make your way into your spacious home through the grand 9 foot front door, you feel instantly relaxed. That wonderful feeling of being home hits you as you glance at your all wood flooring. Through the foyer to an open concept living room, you click on your surround sound television, hang your coat into the cubby style built-ins and make your way into a true cook's kitchen. Granite countertops for days and a huge island, you open the stainless steel refrigerator and take out a cold drink. You make your way over and glance out of the window over the sink, into your large vinyl fenced back yard. The sun is starting to set andyour solar powered fence post toppers are just coming on. As you sip your drink, you make your way outside, through the double doors onto your screened-in patio, click on the outdoor TV and both ceiling fans. You catch the end of your favorite team's game. As you sit in this peaceful space, you hear the rest of your family coming through the front door. Kids run into the huge back yard, while dinner is prepared. As you yell at the kids to come and eat, they argue "just a few more minutes!" You take your freshly prepared meal into the dining room and after dinner you head upstairs. You make your way up the fully wood planked stairs and spend a few moments in the flex room watching the end of a great movie with your family. After tucking your kids into their bedrooms, that are bigger than your entire first apartment. You make your way into a beautiful owners suite, glance at your king sized bed against a full wooden decorative wall and walk into your amazing bathroom and into a double closet so big you don't know where to start. You're just about to prepare for bed when you receive a text that something needs to be done for work. You make a quick trip back downstairs, through the double doors to your home office where you wrap up a few things for work. 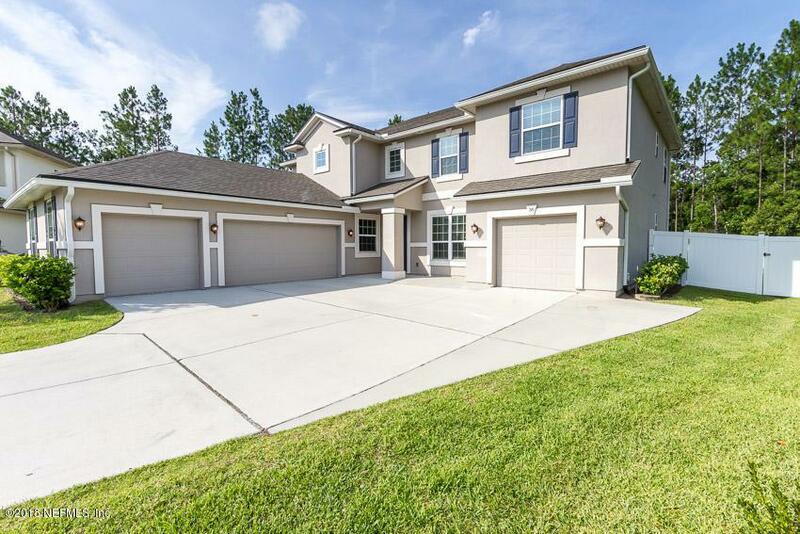 Before you leave, you step into your 4th garage bay and look at your golf cart and feel excited knowing you get to take the kids to the community pool this weekend with all of your neighborhood friends. You make your way upstairs again, check on the kids, and after you crawl into bed, you check your phone one last time and adjust the smart thermostat and turn off the light you left on in the office. As you close your eyes, a wave a gratitude and security washes over you, as you and your spouse fall sound asleep. 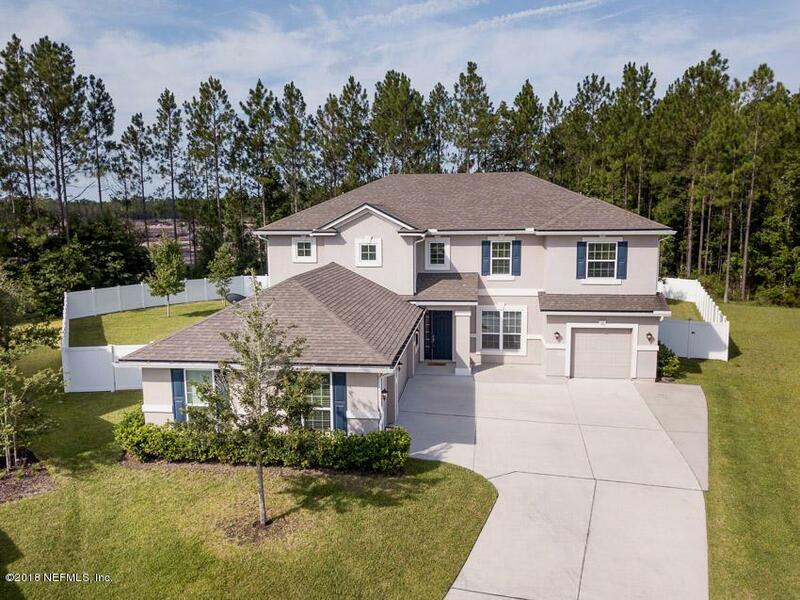 If you can see yourself in this home, make an appointment today!